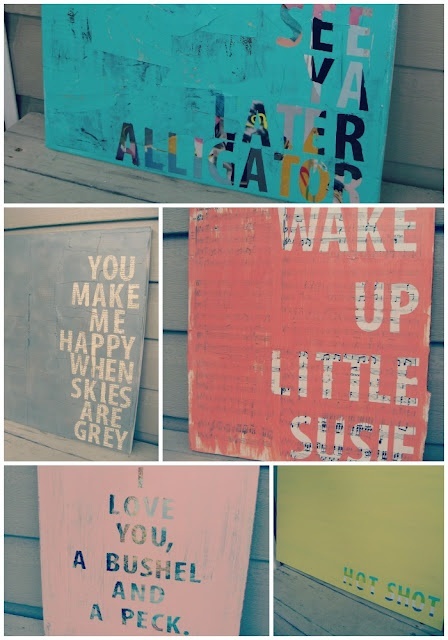 I found two super easy ways to make a great sign for your home! I love the customizability of creating your own. Choose the lyrics to an old song, or your favorite poem, and display it where you can always see it. They look fabulous and are so simple! 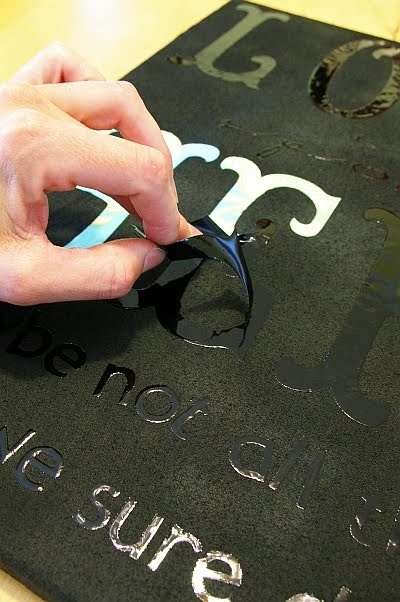 This first DIY adds another layer to creating your sign. You pick old newspaper, pages from a book or magazine and stick them to the canvas first. After you follow all the steps, you have that peek-a-boo texture popping out, instead of boring white. So clever, Southern Belle Soul, Mountain Bride Heart! This DIY from Brassy Apple is similar to the first, in that all the steps are pretty much the same with the exception of what is peeking out from the letters. She uses fabric! I love this idea because you can hand pick a beautiful pattern that works perfectly with the room you’re hanging it in! I also really like the idea of doing this with an old (even ugly) mirror. It would save you a step, and it would still look amazing! If you make these, let us know how they turned out!